Connecting your Alfred Remote to your Mac using a Wi-Fi connection is the fastest and most reliable way. However, there are occasions where this may not be possible, either because your devices can't be on the same network or there is no Wi-Fi network available. The Bluetooth connection is a great alternative for these occasions where there's no suitable Wi-Fi, but comes with a few caveats; Bluetooth itself is a slower way to connect so you'll find that icons can take some time to load on the first connection to a new Remote. Once set up, it's quite fast at dispatching actions to your Mac. With these points in mind, it still provides a very convenient alternative to the Wi-Fi connection. 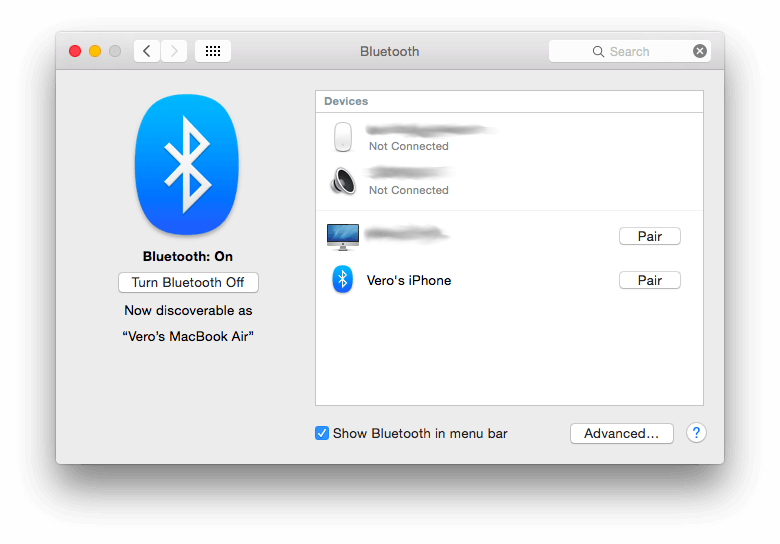 Bluetooth pairing only takes a few seconds to set up, and we've created a handy tutorial on setting up Remote using Bluetooth.